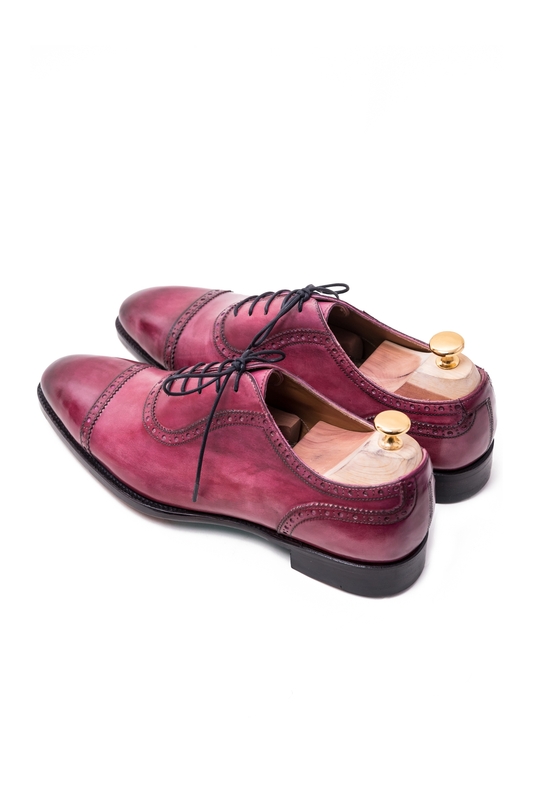 Tōramally keeps it uber stylish and experimental with 'The Ruby' hand-colored pair of shoes. 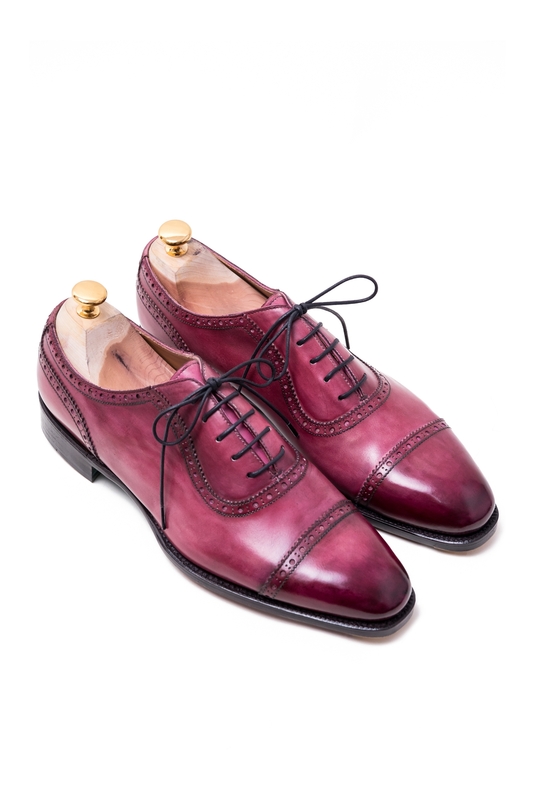 These edgy pair of pink lace-ups are crafted in an Italian full-grain Nappa leather featuring waxed laces and metal tip. 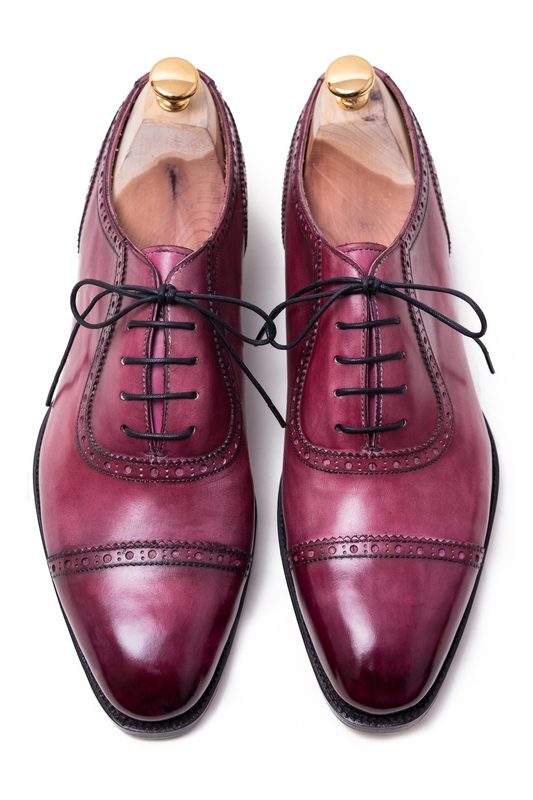 Pair it with a light pink suit worn with a Chinese collar shirt. CARE: Clean with a dry cotton cloth. Apply shoe cream and wax. Insert shoe tree. Put inside the shoe bag.